Clinic Synopsis: Has "score study" become a dull and completely analytical process for you? This session will focus on many of the parallels between art and music in an attempt to transform score study into a source of inspiration and ideas. Using the works of Seurat, Picasso, and others and excerpts from significant works for band, we will find new ways to deepen our musical understanding, enrich our interpretations, and energize our teaching. Clinician Biographical Information Dr. Christopher Knighten is Director of Bands and Associate Professor of Music in the University of Arkansas Department of Music. His duties include conducting the Wind Ensemble, leading the graduate instrumental conducting program, teaching conducting and band literature courses, and overseeing all aspects of the band program. Under his direction the University of Arkansas Wind Ensemble performed at College Band Directors National Association divisional conferences in Fayetteville, AR in 2014 (as hosts), in Boulder, CO in 2016, and at the Meyerson Symphony Center in Dallas, TX in March, 2015. In his previous role as Director of Athletic Bands the Razorback Marching Band grew to more than 350 members and performed at the FedEx Liberty Bowl, BCS Sugar Bowl, and AT&T Cotton Bowl. He has also served on the faculties at East Carolina University and Baylor University and taught instrumental music at Richland High School in North Richland Hills, TX. 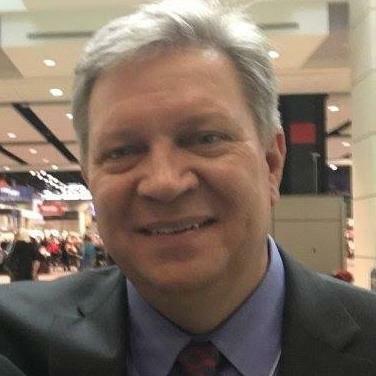 Dr. Knighten has presented sessions on band literature and pedagogy at the Midwest Band and Orchestra Clinic, the College Band Directors National Association Conference, the Music Educators National Conference, and the Texas, Arkansas, Oklahoma, North Carolina, and Tennessee Music Educators conferences. His articles on conducting and band literature have been published in The Journal of Band Research, the Teaching Music Through Performance in Band series, The North Carolina Music Educator, and Today's Music Educator. Dr. Knighten holds the Doctor of Musical Arts Degree in Instrumental Conducting and the Master of Music Degree in Wind Conducting from the University of Colorado at Boulder and the Bachelor of Music Education Degree from Baylor University. His primary conducting teachers were Michael Haithcock and Allan McMurray. He is the current president of the Southwest Division of the College Band Directors National Association.